*Disclaimer - The products in this post were sent to me from FlyBar in order to facilitate this review. Are you looking for some great toys for all ages? When it comes to playing outside, our kids are the best at it. Our older two kids absolutely love to go outside and play when the weather is nice with neighbor friends. 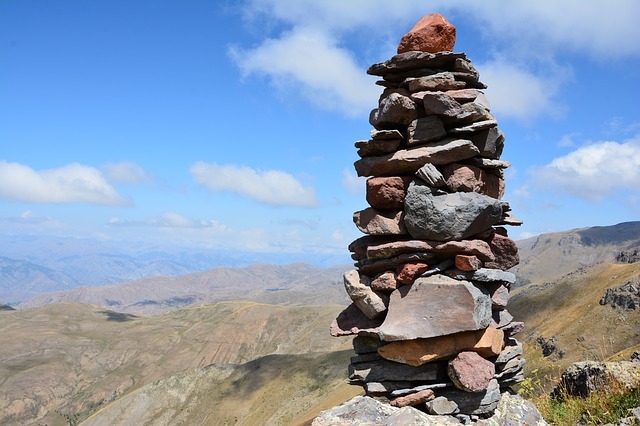 All of our kids are outdoor lovers, especially in nice weather. Our ten-year-old son has been wanting a good pogo stick for a while now, so when I found out that I could work with FlyBar, he was thrilled to find they had a nice one on their website that he wanted to try out. 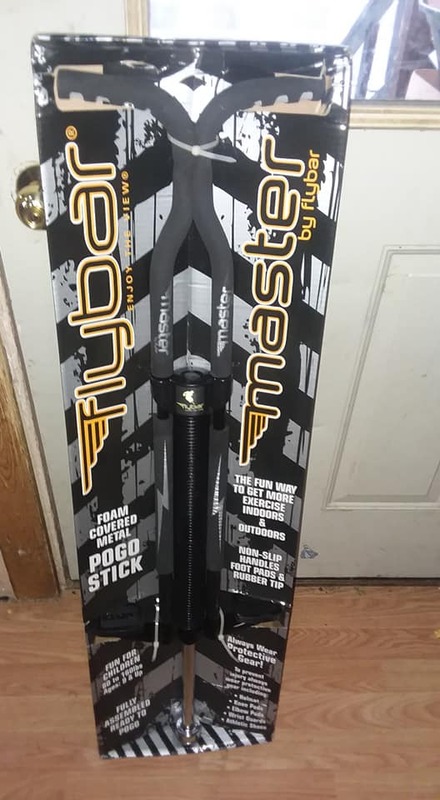 He has used his new pogo stick several times now and loves it, and it works great and is definitely a great quality one being made of metal. 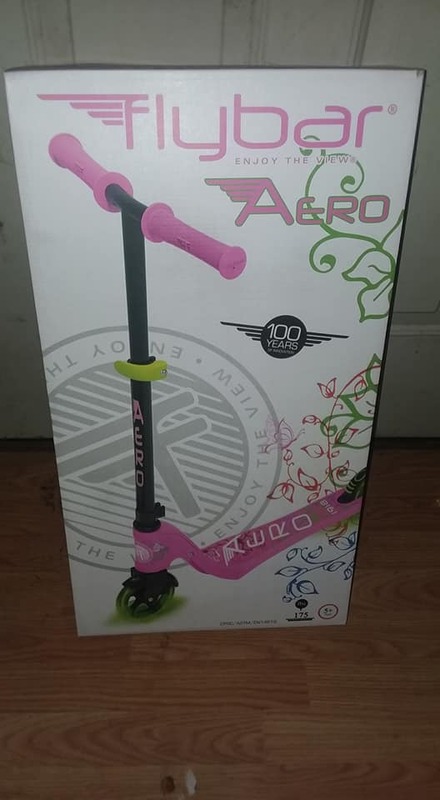 Our ten-year-old daughter has a few scooters, but wanted a pink one and saw one on the FlyBar website that she wanted to give a go, so when hers arrived we had to go for a walk to give it a try. And the result? She loves it and has been using it weather permitting ever since. 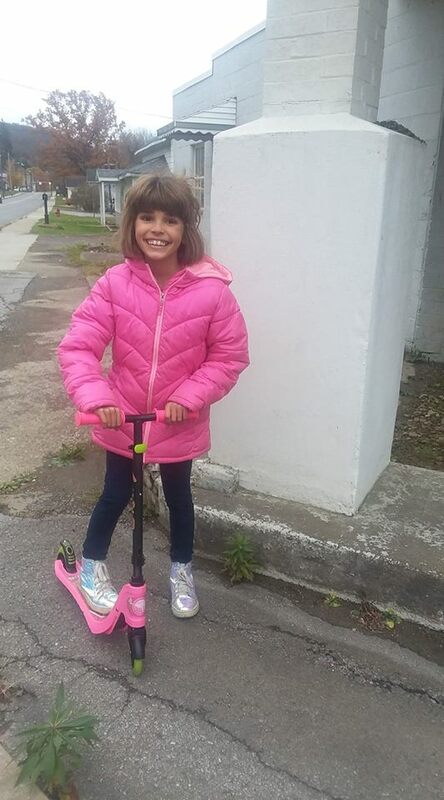 See the excitement on her face, it shows her approval for the FlyBar brand scooter she got! Our weather is whacky where we live, so hopefully, it'll get a good few uses out of it before the cold comes in and snow starts. The really neat thing about her scooter is that it'll light up if it's dark out, and she loves that part of it as do I.